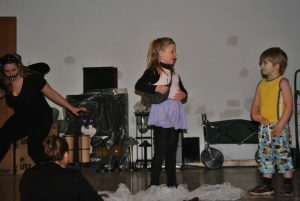 A great introduction to the world of theatre for students age 3-6yo! Games and exercises develop imagination and play, motor and language skills, focus, teamwork, self-confidence, and acting technique! Text is adapted from beloved Fairy Tales full of great characters!